Nissan has reported a very strong fleet performance in the first six months of 2013 with combined car and van sales up by 20% to 33,932 compared with the same period in 2012 (28,329). Fleets bought 29,487 Nissan cars from January to June 2013, a rise of 4,102 year on year, which represents a record 5.4% market share. Nissan became the sixth largest fleet car brand in the UK and sold the equivalent number of cars as Toyota and Honda combined. The star performer was Juke which rose 49% to 7,469 units (from 5,023 in 2012) while combined Qashqai sales rose to 16,561, a rise of 2,325 over 2012. Both LEAF and NV200 minibus also experienced sales growth. Nissan’s LCV performance was just as impressive with 4,445 vans bought by fleets in the first six months of 2013, a 51% rise over the same period in 2012 from 2,944. Nissan’s LCV market share rose from 3.6% to 4.8% helped by strong NV200 sales growth to 2,336 units, a 114% increase over 2012. The Primastar, Cabstar, NV400 and Navara pick up also reported sales growth in this period. “Our fleet sales growth is a sign of the investment we have been making in all aspects of our business over the past two years,” said Barry Beeston, Nissan GB’s corporate sales director. “With the current launch of the all-new NOTE into the B-sector and the further investment in our dealer network we hope to see continued fleet growth during the remainder of 2013,” he added. Juke fleet sales grew by 49% in the first six months of 2013 to 7,469 units from 5,023. Qashqai fleet sales rose from 11,289 to 13,152 accounting for a 45% market share of the total sector. 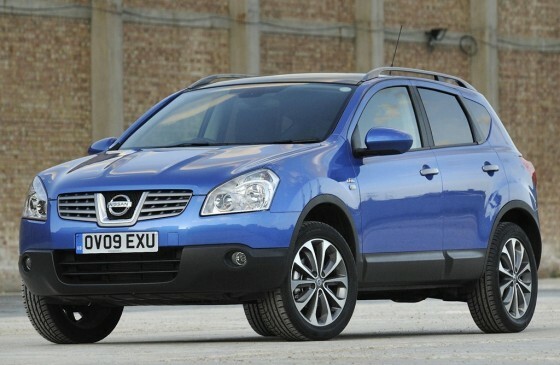 Qashqai +2 sales also rose from 2,947 to 3,409. LEAF sales grew to 278 and 346 NV200 minibuses were sold, a rise of 217% or 237units. This entry was posted in News on July 11, 2013 by alistair.